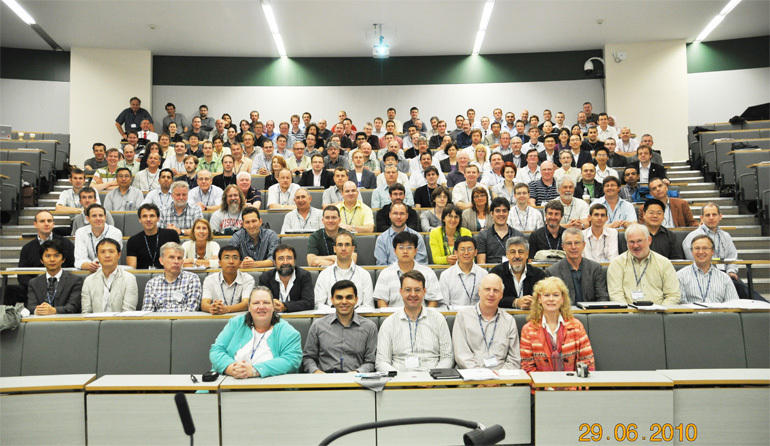 During June 28 - July 2, 2010 the Newcastle University geodesy group hosted approximately 200 participants in the International GNSS Service (IGS) Workshop 2010 and the COST Action ES0701 Vertical Rates Symposium. The Workshop focused on the application and status of current IGS operations and possibilities for future improvements. The final day of the meeting examined application of GNSS to tide gauge vertical land movement, glacial isostatic adjustment (GIA), subsidence and tectonic motion. Four people from UNAVCO attended the workshop including: Chuck Meertens, Lou Estey, Adrian Borsa, and Victoria Andreatta. Adrian Borsa presented a poster comparing results such as the position time series from within the PBO network of deep drill braced monuments verses short drill braced monuments. Lou Estey gave a talk at the workshop on TEQC and some of the challenges he is facing with implementing the translation of some of the newer formats, the addition of L5, as well as the additional capability of being able to translate GLONASS data using TEQC. UNAVCO also sponsored lunch for all of the participants on one of the days of the conference.